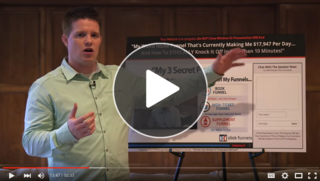 Signup For The Funnel-U NOW... And Get Your FREE Copy Of 108 Split Test Winners! 1st) I only printed 1,000 of the "108 Proven Split Test Winners" books. Yes, I can order more, but there is a 4 week lag time, so if this page is online now, then we have books in stock. I'm mailing you my new book, "108 Proven Split Test Winners" along with a bunch of gifts when you join Funnel University right now! You'll get a FREE 14 day trial and get EVERYTHING listed below when you get started today!